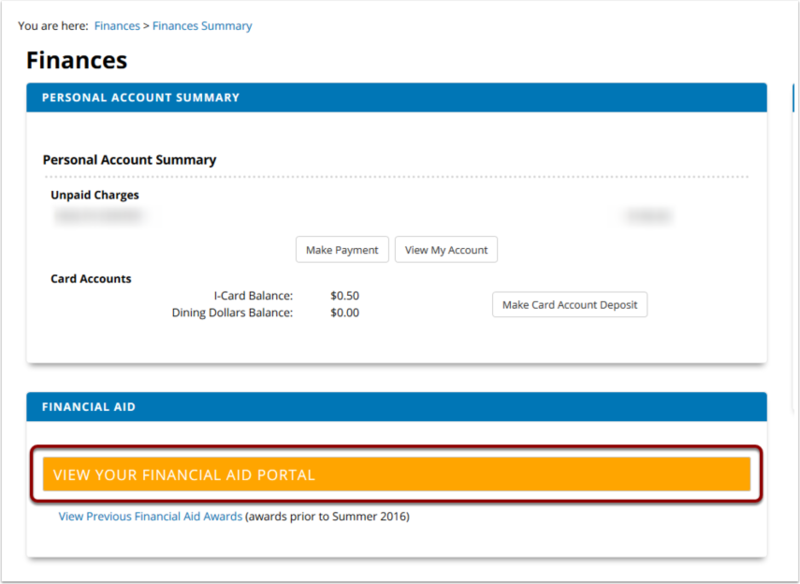 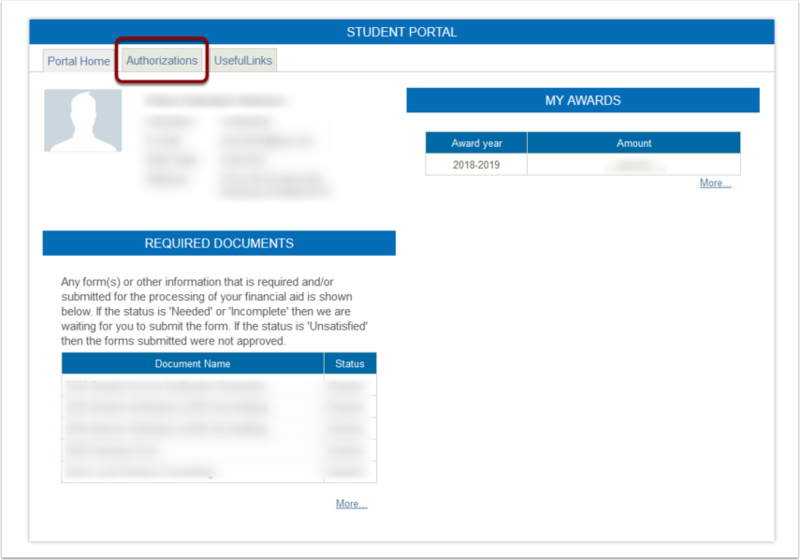 Click on the yellow bar that says, "View Your Financial Aid Portal"
You will be redirected to your Student Financial Aid Portal. 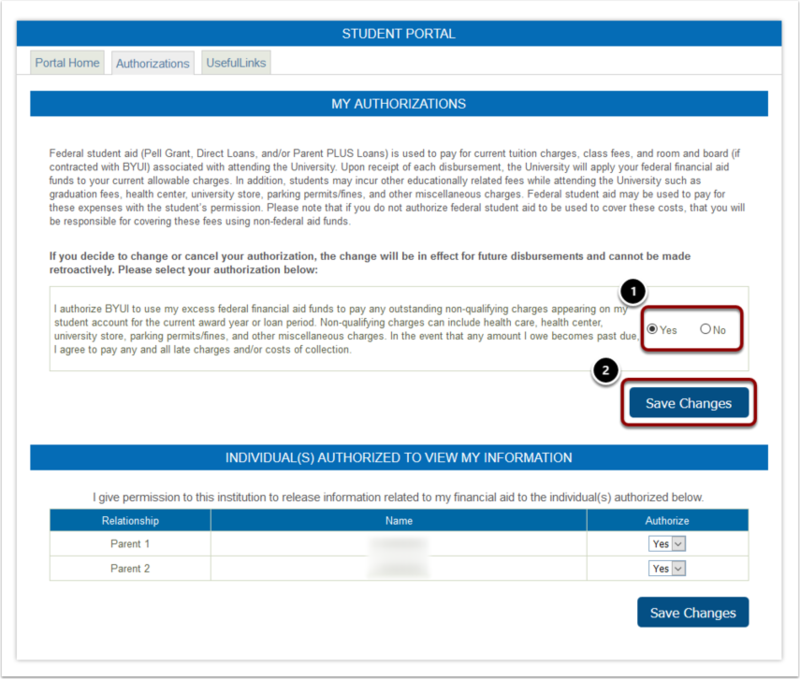 You will be redirected to your Authorizations page. 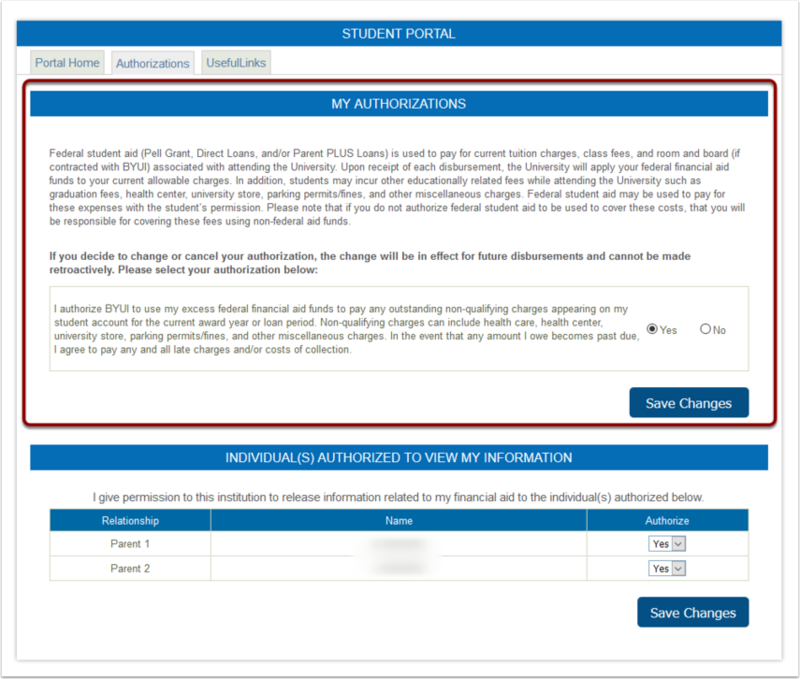 Here it explains what the Authorizations are and what it entails. 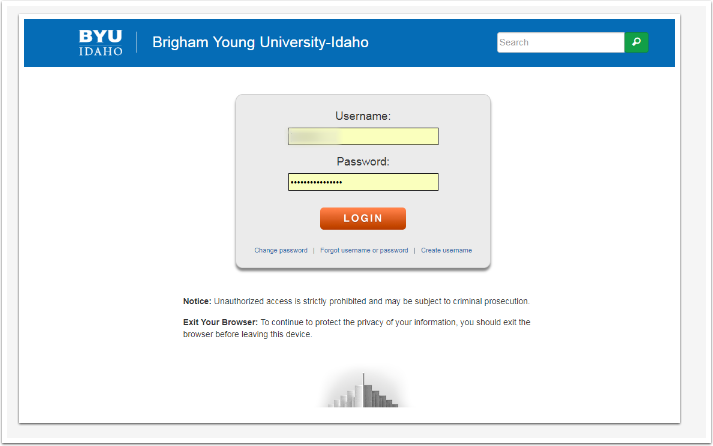 To allow BYUI to pay for your tuition and any other funds (such as health center charges), select the circle next to "Yes"